Mouse anti Bovine IgG1, clone K37 2G6, recognizes bovine IgG1 and does not cross react with other subclasses. IgG1 along with IgG2 and IgG3 form the three major subclasses of bovine IgG. In bovids, IgG1 constitutes approximately 50% of serum immunoglobulin. IgG1. Unlike many other species, in ruminants and particularly bovids, IgG1 is major immunoglobulin present in milk and colostrum rather than IgA. 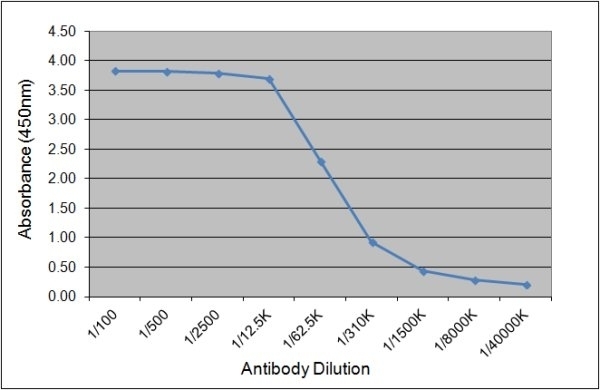 In addition to clone K37 2G6, Bio-Rad offer clone IL-A60, which is also specific to bovine IgG1, along with a wide range of other antibodies specific to various bovine immunoglobulin and immunoglobulin subclasses. Estes. et al. (1998) Effects of type I/type II interferons and transforming growth factor-beta on B-cell differentiation and proliferation. Definition of costimulation and cytokine requirements for immunoglobulin synthesis and expression.